Hello Friends! A Sincere "Happy Thanksgiving" to All! 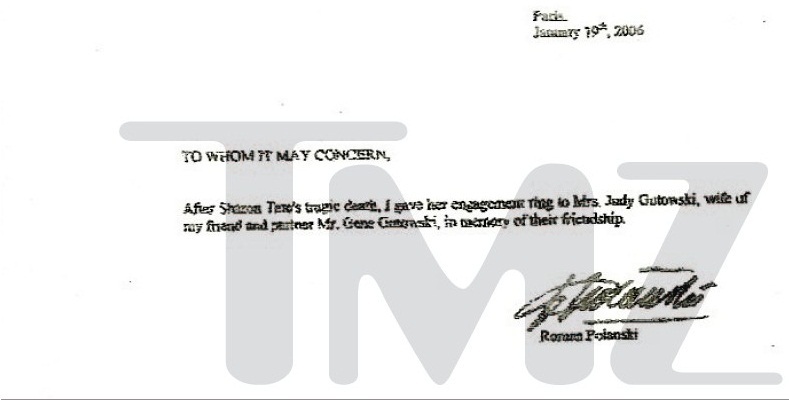 "Sharon Tate Ring Is LEGIT, We Have Proof"
The auction house behind the controversial Sharon Tate "engagement ring" tells TMZ ... it has written confirmation from Roman Polanski verifying the authenticity of the jewelry ... and claims it WILL NOT yank the item from the auction block. 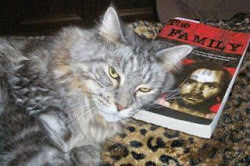 TMZ broke the story ... Sharon's sister Debra insisted the ring wasn't Sharon's "official" engagement ring -- and also claimed it was NOT on her finger the night she was murdered by the Manson family. But a rep for the auction house GottaHaveRockAndRoll.com tells us, "It was speculated that the ring was on Sharon Tate's finger at the time of death but never confirmed so we do not dispute Tate's sister Debra's claim." The rep adds, "We do, however, have photographic proof of Tate wearing the ring (seen above) and written confirmation from Roman Polanski stating that this was, in fact, the engagement ring that he gifted to his then-fiancee, Sharon Tate." "Gotta Have It! along with the consigner are 100% confident in the authenticity of the ring. There are no plans to pull the ring from the Gotta Have Rock and Roll Pop Culture auction as the consigner, who maintains ownership of the ring, is committed to its sale." Currently, the ring is scheduled to hit the auction block on November 30. "Click" Below, to view the lhe Letter from Roman Polanski, dated January 19, 2006, from "Paris". "After Sharon Tate's tragic death, I gave her engagement ring to Mrs. Judy Gutowski, wife of my friend and partner Mr. Gene Gutowski. in memory of their friendship". The ring was Sharon's at one time, given to her by Roman. Although... she was NOT wearing it, the night she was murdered. According to Roman's letter, it was an engagment ring. According to Debra, Sharon didn't care for the ring (it is kinda ugly for an engagment ring)... and was given another ring, as an engagement ring. Since the letter was written by Polanski in 2006, addressed to "whom it may concern"... (and is now being auctioned again), it seems the ring has changed hands several times. It even appears damaged at this point. Thanks Mary for an interesting, and breaking story!